... it appears that minikeys have taken over my studio! In a surprise move - due mainly to the temporary $59 price - I picked up an Akai Key 25 device. 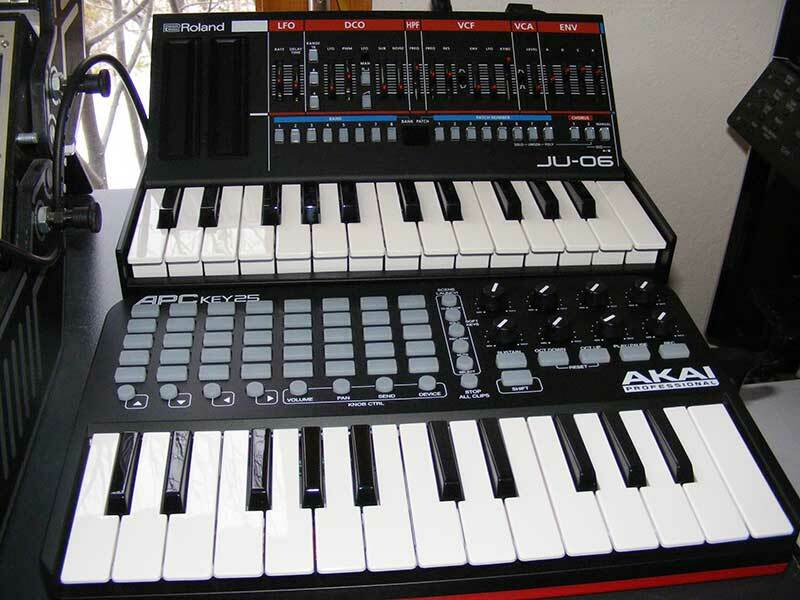 This thing is sort of a Frankenstein mash-up of the Akai APC Mini and a cheap-o keyboard. But it's got a couple of things that I like that were left out of the Mini (the keyboard, obviously, but also transport play/pause and record buttons), and it is nice to have a Live keyboard easily at hand. This is actually a bit of a disappointment with the mini keyboard for the JU-06. There is no way to turn off the local mode of that keyboard, meaning that any use of the keyboard will sound the synth engine of the JU-06. 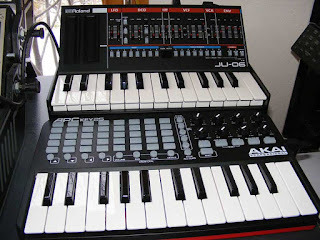 So that keyboard is useful when doing sound design on the 06, but is otherwise kind of useless in a MIDI-based system.